Studies have shown that nutrition may have a part in helping to relieve some symptoms of dry eyes. Your eye doctor may recommend nutritional supplements such as omega-3. Good sources of omega-3 fatty acids are cold-water fish, cod, herring and salmon, as well as flaxseed oil. Mild dehydration can make symptoms worse too, so be sure to drink plenty of water, 100 percent fruit and vegetable juices and milk. Studies have found that re- esterified triglyceride omega-3 supplements helps dry eye. The study found improvements in tear osmolarity, omega-3 index levels, tear break-up time and other measurements related to dry eye syndrome. The daily intake for this study was 560 mg of DHA and 1680 mg of EPA. Omega 3 fatty acids occur naturally in fish. These antioxidants have been shown to have significant across-the-board health benefits. Our bodies are not capable of producing omega-3 fatty acids. Thus, the American Heart Association recommends eating oily fish twice a week and/or taking a daily supplement. If you eat farmed fish, make sure it’s organically grown. While there are food sources of omega-3’s, cardiac patients and those suffering from dry eye may need take supplements. Fish oil supplements are purified and concentrated as part of the manufacturing process. What type of Omega 3 fish oil is best for dry eyes? 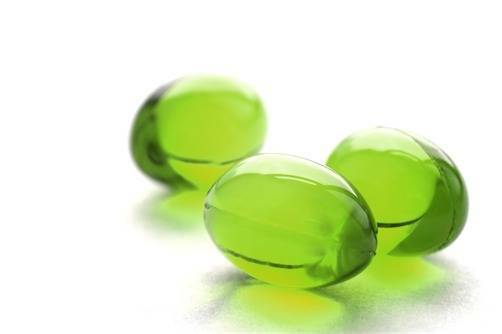 There is a difference in the effectiveness of fish oils for dry eyes. A recent study found that re-esterified triglyceride omega-3 fatty acids were better for reducing dry eye symptoms. The triglyceride form is more economical and very similar to the re-esterified triglyceride form. The ethyl ester form is commonly found and less expensive per tablet than the other types. However, this form does not have as high a concentration of bioavailable eicosapentaenoic acid (EPA) and docosahexaenoic acid (DHA). Bioavailable means the body is more able to absorb the nutrients. Therefore, larger amounts of the inexpensive ethyl esters form are needed to get the same effect. When looking at value, triglyceride was found to provide the most bioavailable EPA for the money. Discuss with your doctor the amount of omega-3 supplement you need, if any. Typical supplementation is 2,000 to 3,000 mg of Omega 3 per day. High doses can cause bleeding in some people. When selecting a fish oil supplement, make sure to read the bottle carefully. The form of omega-3 should be written on the label. Also, look at the amounts of EPA and DHA, to see how many tablets you will need to take each day.